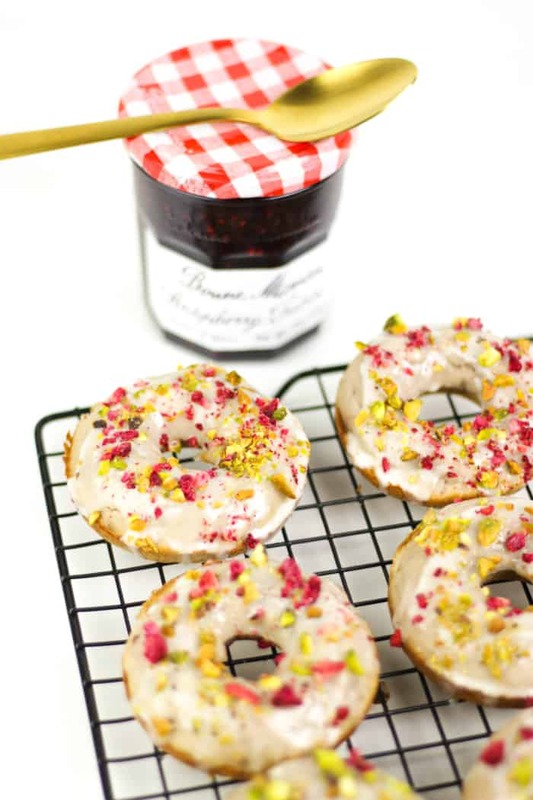 Breakfast in bed requires a batch of sweet Raspberry White Chocolate Baked Donuts! 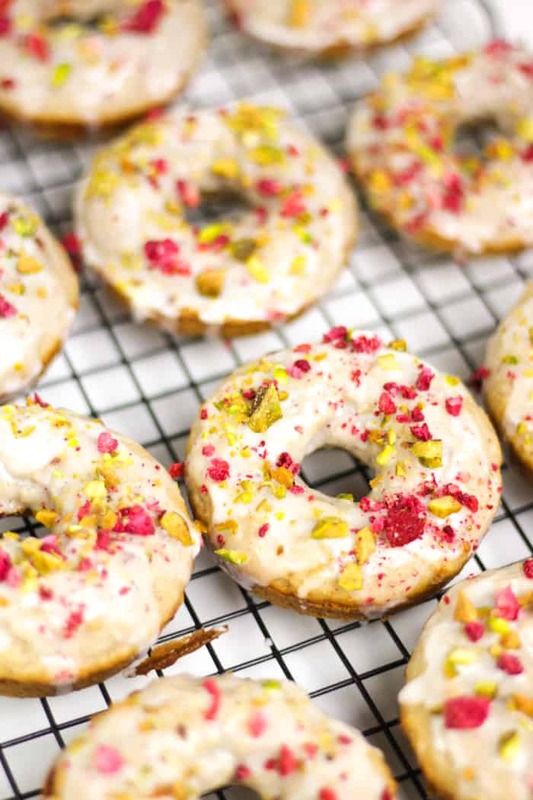 Topped with a white chocolate glaze and a sprinkle of chopped pistachios and freeze-dried raspberries, these Instagram-worthy, berry-flavored cake donuts are fit for weekend mornings. 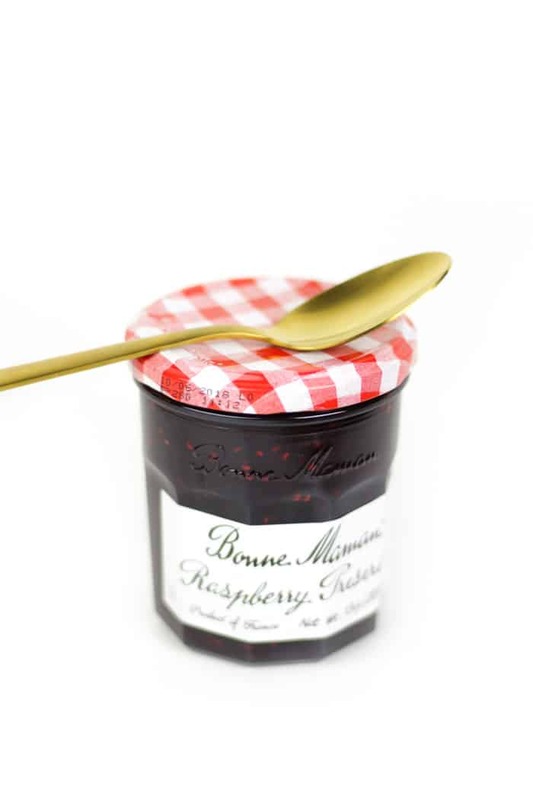 This post is sponsored by Bonne Maman. Thank you for supporting the brands that support Feast + West! Moms deserve the best, do they not? I remember many a Mother’s Day in which my siblings and I fixed ours breakfast in bed. I can’t remember what we prepared, just the fact that we did it. Muffins, perhaps? Pancakes? French toast? Whatever it was, I’m 90% sure it came from a box. While I no longer think a box mix is the best breakfast I could make for my mom, I do know that we certainly tried our best back then. My mom has the coolest Etsy shop these days, and she is a total Instagram rockstar. A few times, my friends have asked me if I take her Instagram photos. A super flattering question, but the talent is all hers! 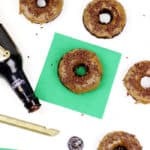 Lately our outings have turned into Instagram opportunities, with us searching for props like fancy scissors, macarons and donuts to stage in her photos. 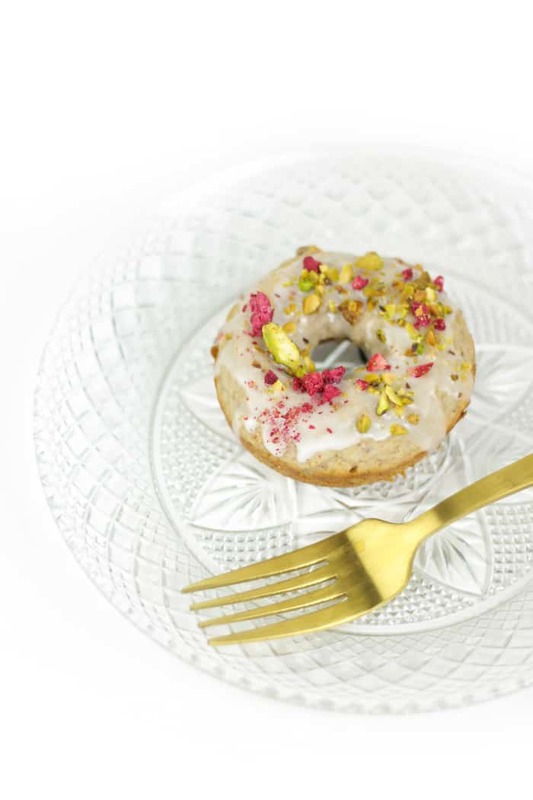 So this Mother’s Day, I dedicate to mine these Instagram-worthy Raspberry White Chocolate Baked Donuts. 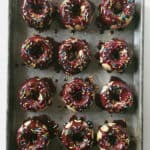 These are cake donuts flavored with Bonne Maman’s Raspberry Preserves, then baked in a donut pan in the oven. These preserves — which have long been a family favorite — give the donuts a sweet, berry flavor and a soft pink color. 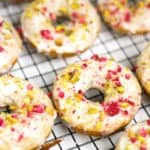 I topped the donuts with a white chocolate glaze, then sprinkled them with chopped pistachios and freeze-dried raspberries for extra color. I love the way these pink donuts look with their white icing and colorful accents on top! 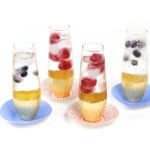 They’re a sweet and colorful way to show Mom you care with breakfast in bed, and a cup of coffee to boot! 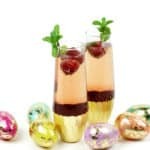 And though I didn’t get to share this batch with my madre, I know she would have loved photographing these with me! I’ll just have to make them again. Plus, my mom is gluten-free these days. I haven’t tested it, but I think anyone would be fine to swap out flour for a 1-1 gluten-free baking mix.